CMA Fest Ultimate Fan Experiences Drawing Now Open! 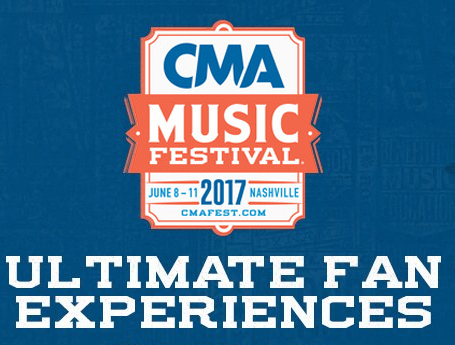 The entry period for the 2017 CMA Music Festival Ultimate Fan Experience Drawing contest to win select meet & greets at Fan Fair X or admission to HGTV Lodge has begun! You have up to 35 picks to enter by Thursday, June 1 at 10 AM CT. Winners will be notified beginning on Friday, June 2 at 10 AM CT and will need to claim prizes via the CMA Music Festival App or website by Tuesday, June 6 at 12 PM CT. Unclaimed prizes will be redistributed. Each winner will be allowed one guest. Our 2017 CMA Fest Autograph Schedule now includes over 240 signings! Members can download from the Members Only section. To become a member, join now for instant access, or click here for more information!